Hamburg Ship Model Basin HSVA has been amongst the leading organisations for hydrodynamic research. HSVA has influenced and led developments of testing technology, methods, standardization and numerical procedures to solve complex problems. Today, HSVA is a service and consulting company for customers worldwide. Highly skilled staff is trained to interact with customers to optimize products and procedures quickly with high precision. For more than a century, the private and independent Hamburg Ship Model Basin HSVA has been amongst the leading organisations for hydrodynamic research. HSVA has influenced and led developments of testing technology, methods, standardization and numerical procedures to solve complex problems. 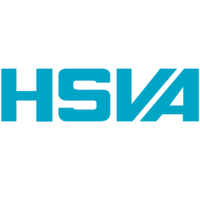 Today, HSVA is a service and consulting company for customers worldwide. Highly skilled staff is trained to interact with customers to optimize products and procedures quickly with high precision. HSVA’s services cover experiments, computations and full scale measurements. From initial design to detailed investigations of propulsion improvement devices, from concept studies to full scale CFD predictions, all can be done in-house or in close collaboration with our partners. Its leading role in national and international research programs makes HSVA a most competent partner in science and services around the field of hydrodynamics and related areas. HSVA has been one of the leading institutes performing research on wind-assisted ship propulsion (e.g. work by P. Schenzle and H. Renzsch) and is picking up this tradition again these days based on the vast experience gained in the past. Since 2014, a modern scale-resolving CFD simulation process based on the Detached-Eddy Simulation (DES) approach has been developed at HSVA. This process has been successfully applied to industrial studies of ship aerodynamics with focus on wind loads, helipad safety, wind-comfort and exhaust-gas dispersion. The DES methodology is also well-suited to simulation of wind-assisted propulsion of vessels (e.g. instantaneous and mean forces on sails, wing sails or Flettner rotors). Preliminary simulations along these lines have already been carried out. As HSVA is going to strengthen these developments in the future, the company believes that an IWSA membership will be very beneficial for these efforts. Further HSVA has a long record of projects related to marine aerodynamics in general. The aerodynamic flow over a ship superstructure influences the performance of a vessel in many ways. Not only does the aerodynamic resistance have an impact on the efficiency of ships, the aerodynamic flow over a ship at speed also has a large impact on the comfort, e.g. smoke dispersion from the funnel(s) or creates local “hot spots” on deck, particularly of passenger vessels. In addition to wind tunnel experiments, numerical studies can be performed using the in-house CFD code FreSCo+. The numerical simulation allows accurate flow field predictions and visualizations at full scale Reynolds Numbers without inadequate scaling procedures. CFD computations are conducted at full scale in order to determine the airflow around the above-water hull and the superstructure of the vessel. These studies highlight the local wind conditions and the exhaust dispersion on the relevant open decks (especially helideck) and at other locations (e.g. path of helicopter approach, air intakes for engine and ventilation). The computations are performed using HSVA’s flow solver FreSCo+, a finite-volume code well-suited for the simulation of turbulent flow around complex geometries. For highly unsteady aerodynamics simulations, a hybrid RANS-LES turbulence treatment is applied: In this so-called DES approach, the dominant energetic eddies in the bulk of the flow field are resolved in a LES sense, while the near-wall behavior is approximated by a RANS k-ω-SST closure. The dispersion of exhaust gases over the decks is included via a two-phase volume-of-fluid (VOF) method.